Opportunity knocks! 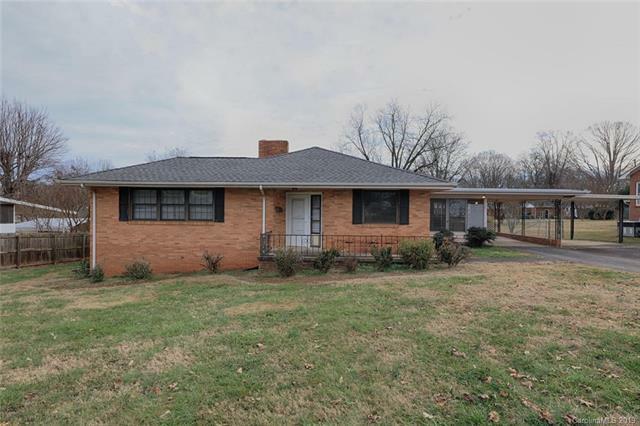 This charming full brick home with an unfinished basement is loaded with potential. It is a true mid-century gem, located in a very nice established neighborhood where pride of ownership shines. Home features lots of living space with a large living room, family room, built-ins and two sided fireplace. Spacious kitchen with plenty of cabinets, ample counter space and a breakfast bar. Conveniently located off the kitchen is a laundry/utility room. Original hardwood floors in all three bed rooms. Two full tiled bathrooms. Outside a big brick patio on one side and covered porch on the other. Huge yard is level and fenced. Long driveway, two car ports and plenty of parking space. Roof has been replaced within past ten years.